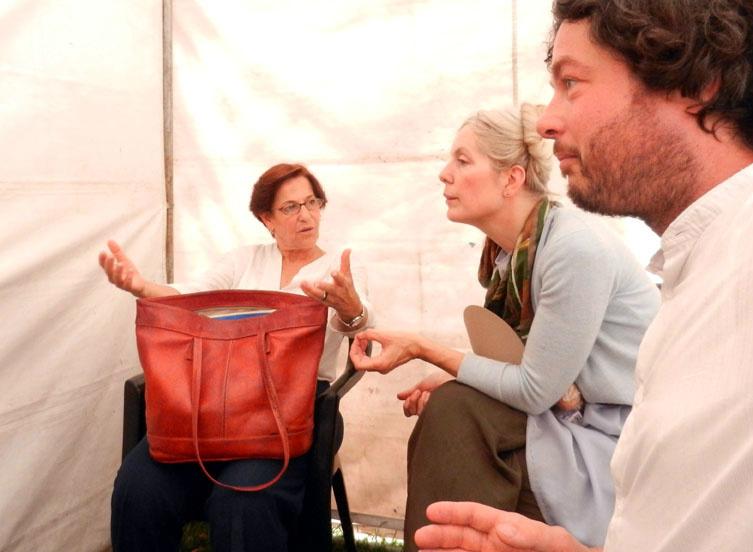 Very early in our residency period we have had the chance to have a private meeting with the mayor of Lima, Susana Villaran. We have talked about 'autogestion', the culture of citymaking by the people themselves and about rethinking the public space. House with swimmingpool in Collique in the mountains of Comas. One of the community leaders of Madrigal uno in comas is carpenter Rafael. He points out the direction of where they built a new road in the mountains. The absense of the state. 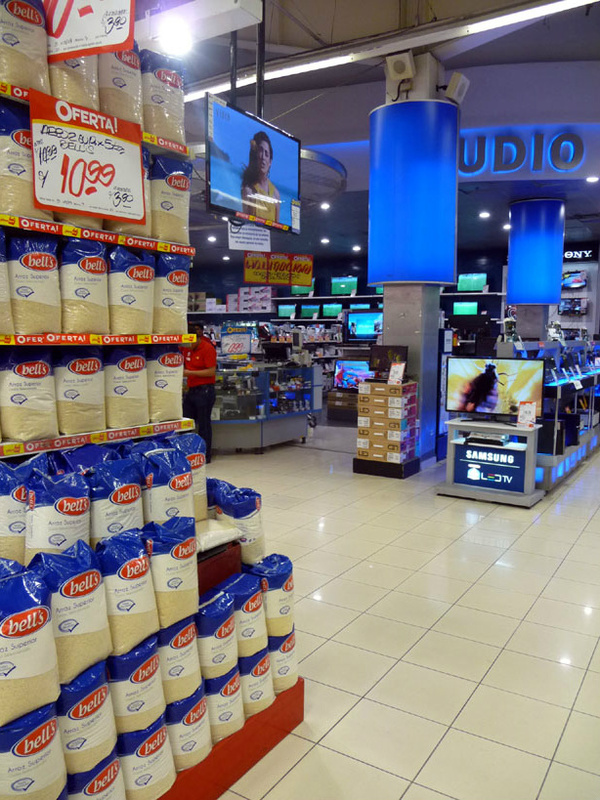 Privatisation of the public domain is a big thing in Peru. 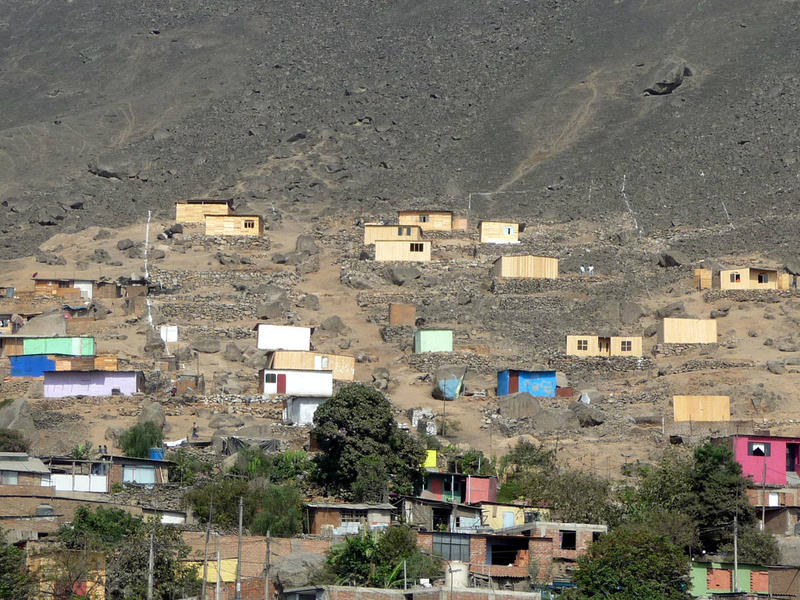 The metropolitan area of Lima has dealt with massive invasions on the edges of the town. The edges are pushed higher up the hills and further away from the centre. Most of the time it is public space that is invaded for this large and massive process of rapid urbanization, also know as spontaneous city making. 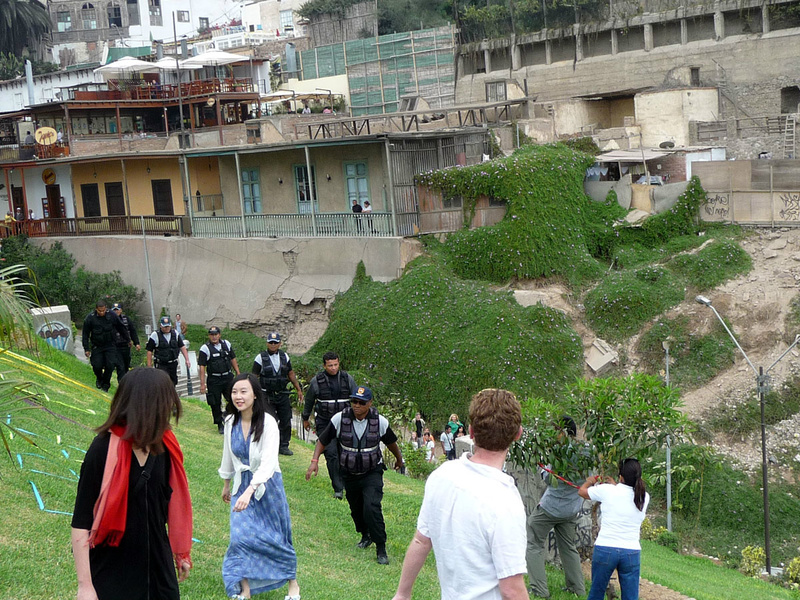 The last forty years Lima has changed dramatically in shape and seize but also in type of residents. 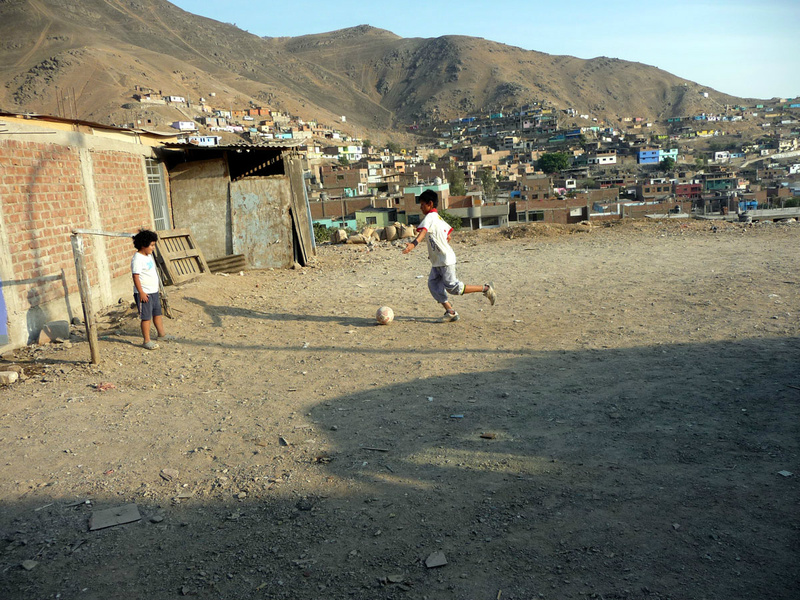 A massive migration took place from rural parts in Peru, the jungle and the Andes bringing countryside people in the megapolis. In the existing town we can see another phenomena, the privatisation of public spaces for commercial purposses. 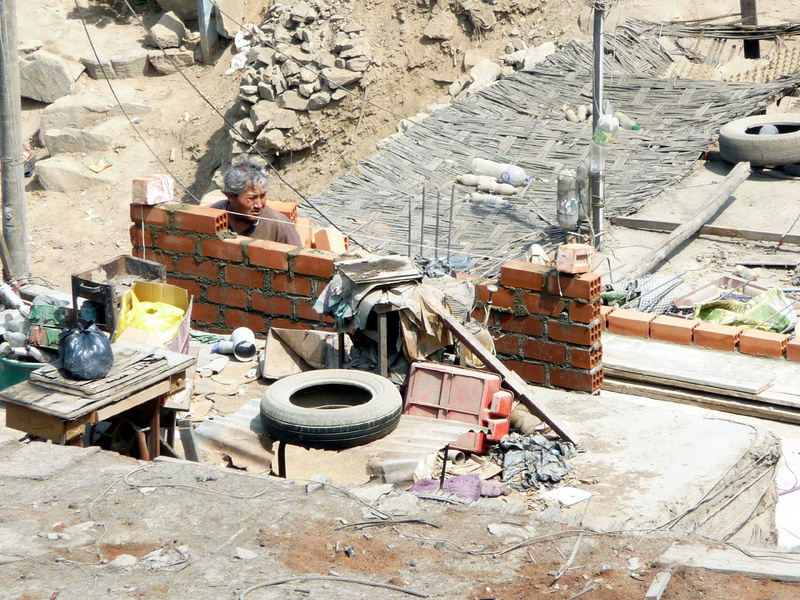 In this case we focus on the coastalzone/ seadike (Barranco) of the district Barranco. Many old type of buildings have been replaced by enormous appartment complexes separating the ocean from the common people. White and shiny architecture for 'La Gente Nice'. The whole cliff is private and a good view on the ocean is rare. There is hardly any good quality public space left, to enjoy place and view. Accept for some steep terraces near the walkway the 'Puente de los Suspiros', or Bridge of Sighs. There are some green fields being municipality property but currently invaded by greedy restaurant owners like 'Javier'. They took the land and planted trees and flowers. Now he think it is his property. We make a plan and a facebook page, with local citizens. 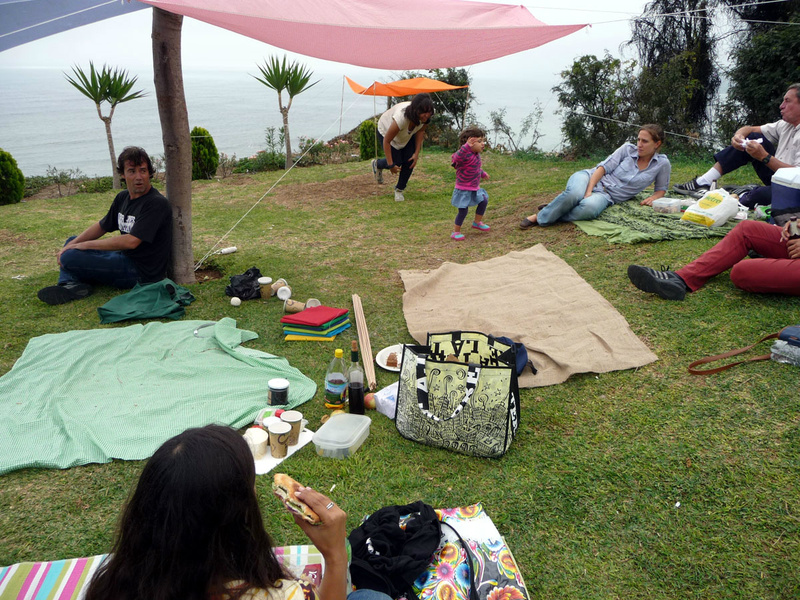 We call the action Invasion Civica because with a cultural 'Picnic Abierto' we program the space like a public space and are to confront the current caretaker that it is not HIS land but OURS. The case is very clear but...Will the authorities be on our side?? 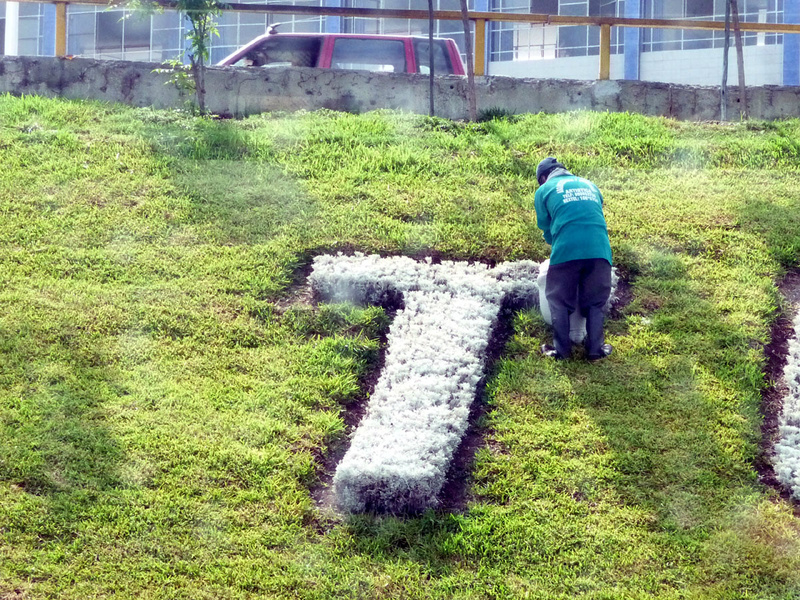 Everthing was nice and easy.... but after two hours some twenty law enforcers came and wanted to sweep the place clean. Our peacefull Picnic was under attack! We made our argument about it being a public space. At some point there were as many as twenty one cops dealing with our Picnic. Some telephonecalls were made with civil-servants and politicians..... Could we stay... after all we ARE the public...no? 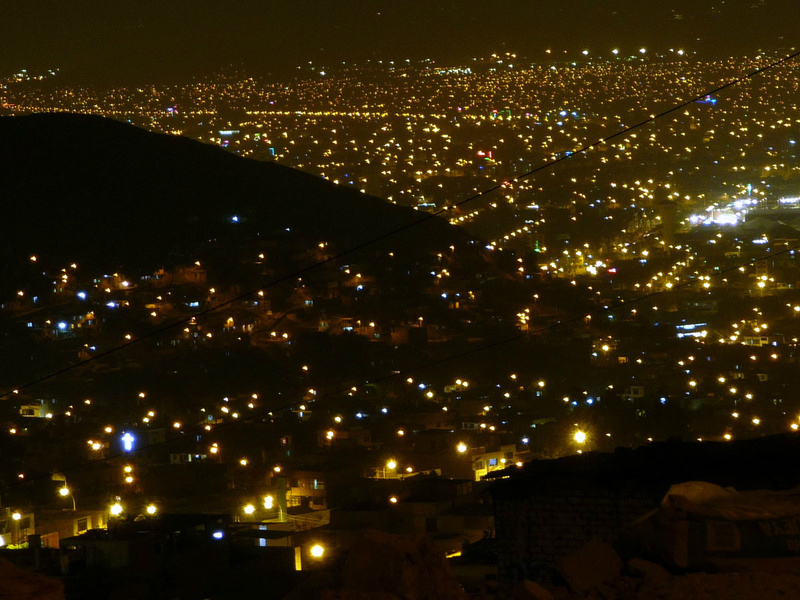 Lima by night. 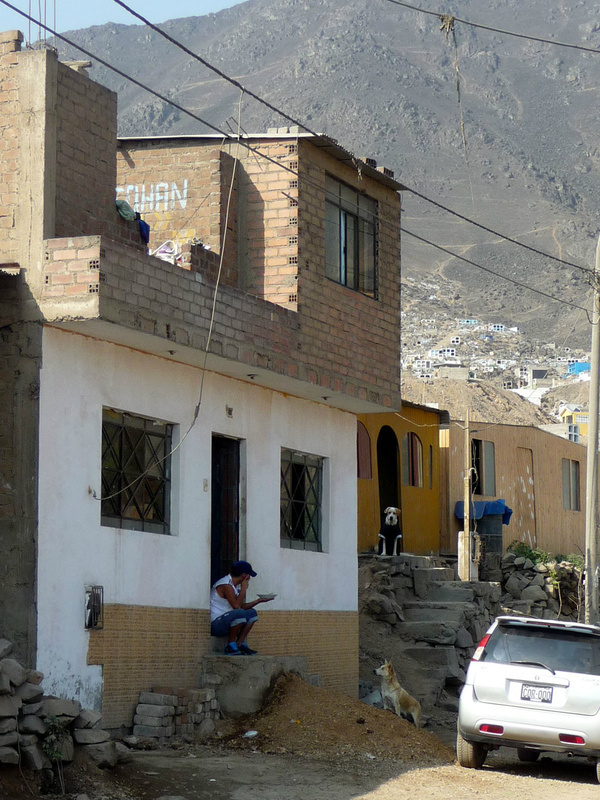 We have been working in the northern hills in the outskirts of Lima. 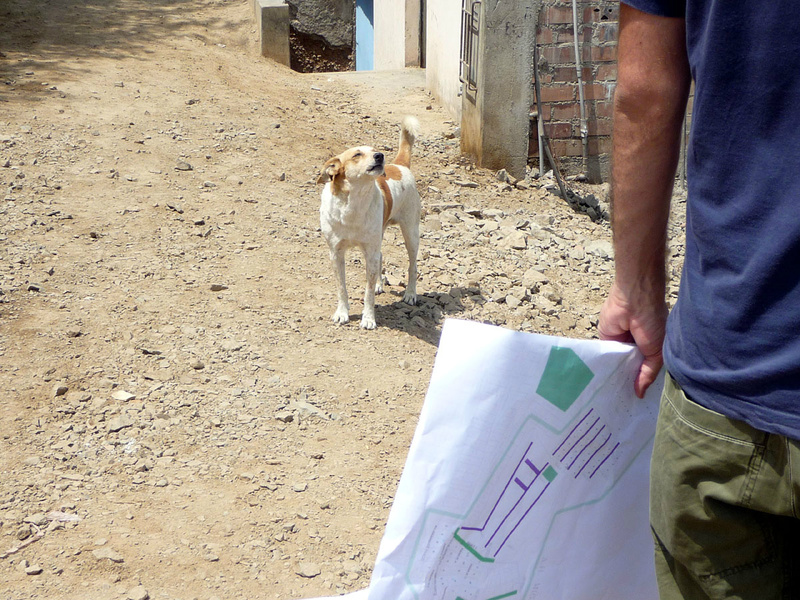 Yesterday we have had a meeting with twenty residents of a small neighbourhood. The meeting was good and going back home we saw this view from the hills on the city in the dark. 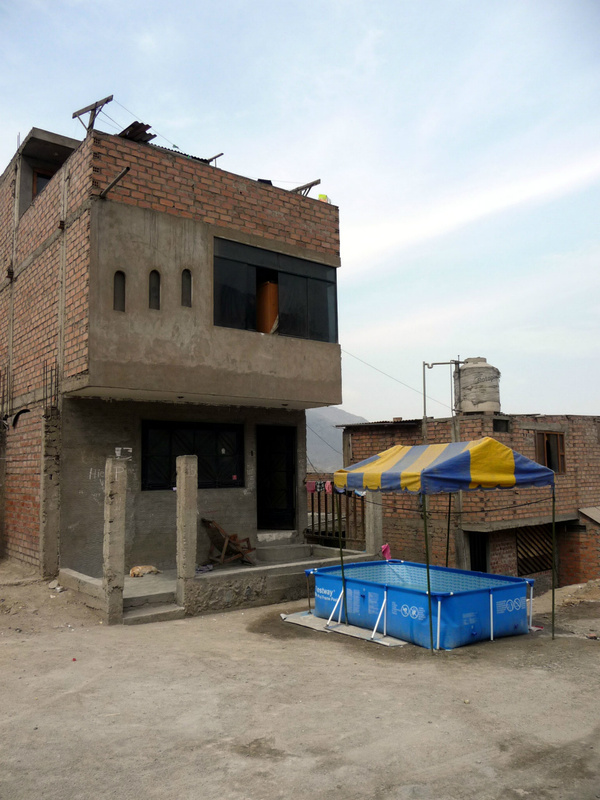 It made us aware that the people here probably have the best view on the Megapolis and... in earlier conversations they have stated that they feel close to Lima but far enough to have their own reality. This view is perhaps a key to this feeling,... here, from the distance you can look AT the city and feel you are not part of it. Lima looking good!! There is a lot of impressive facades downtown Lima. 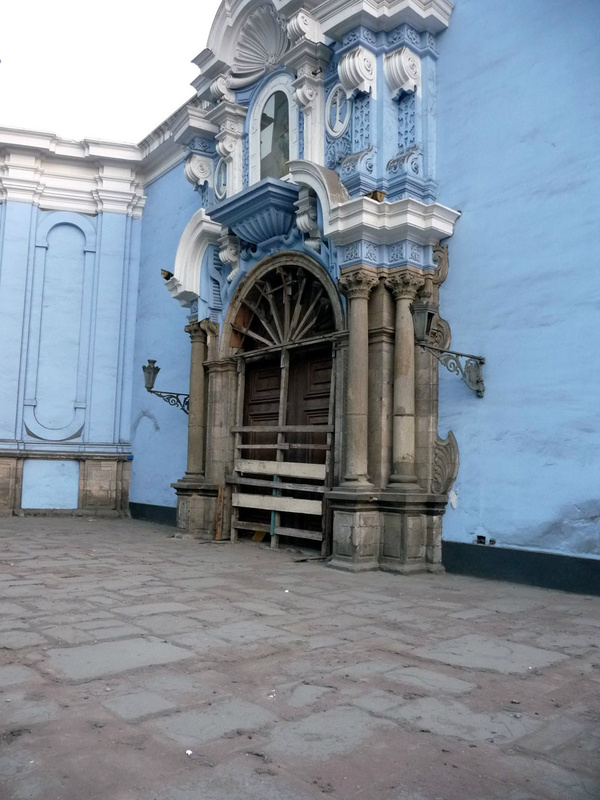 Old buildings where important people made the desisions for all of Peru. You can get a feeling of the colonial hightimes, where the centre must have been a very impressive and overwhelming place of beauty and power. Today some of the buildings are in good shape but most of it is suffering... The owners of monuments and buildings could not care less it seems...A lick of paint makes it look good on a postcard though. Recent Invasions- We have been visiting this place for some months now. We see it changes very steadily. Newly-built 'Spontaneous' housing on the top part of the settelments, usely has no colour yet. It is like a DIY-kit that costs about 800 dollars. 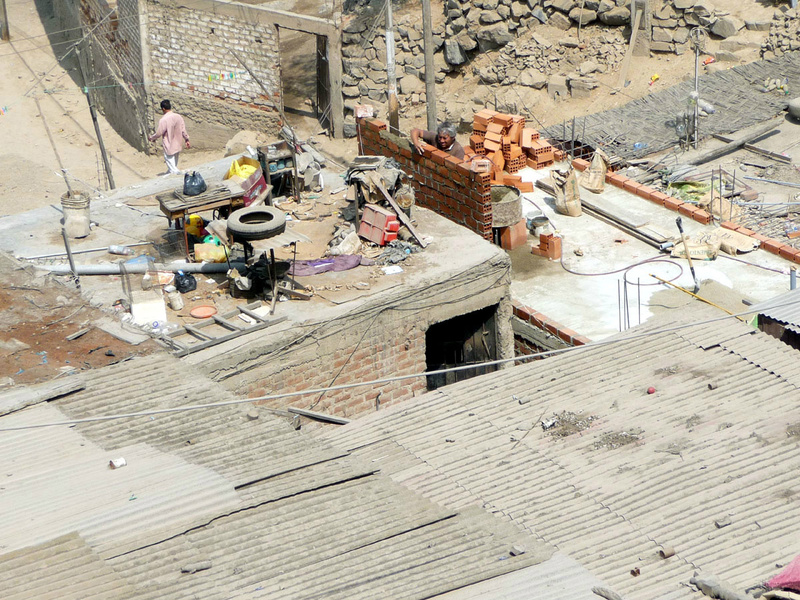 Once it is put up, these primitive occupations have doubled their value. Someone else will start their life in Lima, so we can speak of some projectdevelopment and speculation here... They are freshly put there and have no titles, water nor electricpower. The white lines (chalk) are some kind of deviding lines for future sites. So somewhere there seems to be a plan. walking in the area where we work we came across these newlybuilt houses. 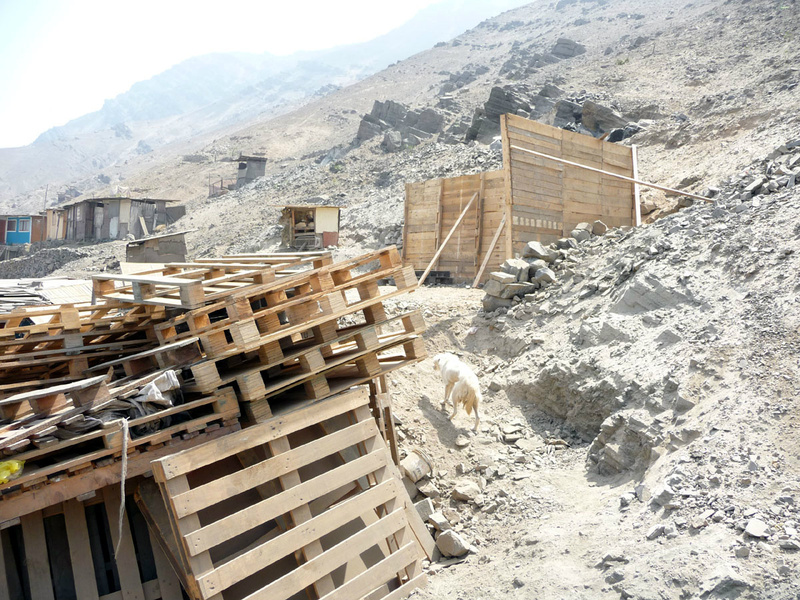 They construct the whole thing, recycling pallets and even the nails from the pallets. Impressive! A lazy sunday afternoon in la Balanza, Comas. 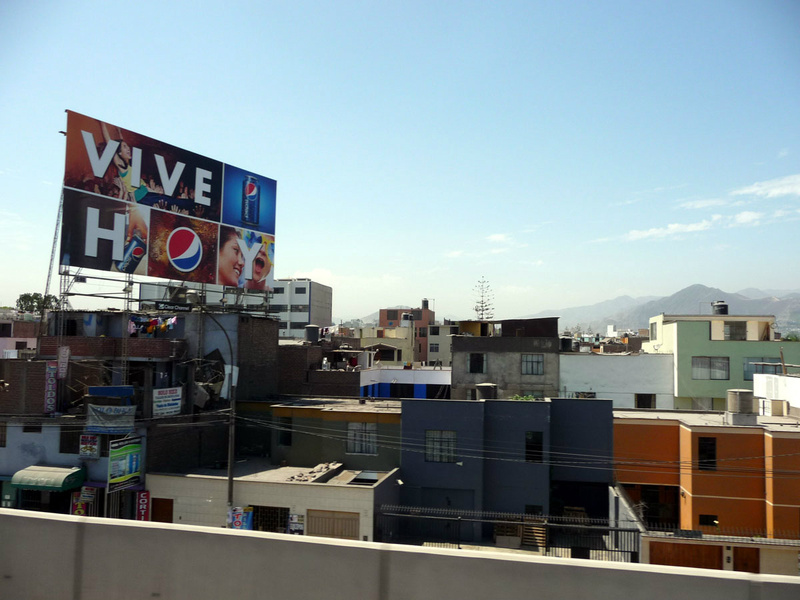 Part of the urban landscape: Vive Hoy, Live today. from a beverage company. 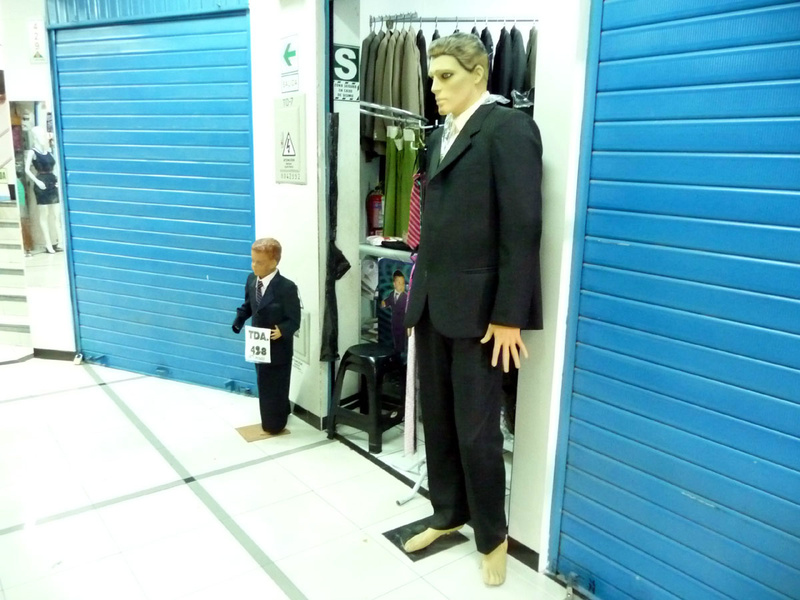 Suits for big and small business man. 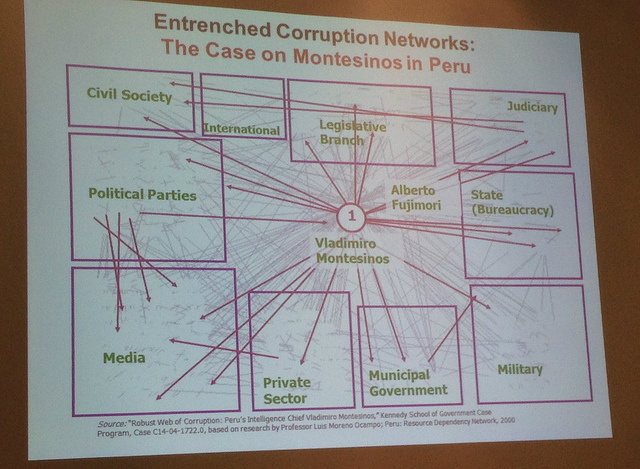 This is part of a very in depth study on corruption in the case of a Mr. Montesinos, a close relation and advisor to former persident Fujimori (who is now in jail) in Peru in the nineties. It is the architecture of darkness. In contemporary politics these forces from the past are still very, very active trying to destroy the democratic processes that take place today. Street life. A world without cars. 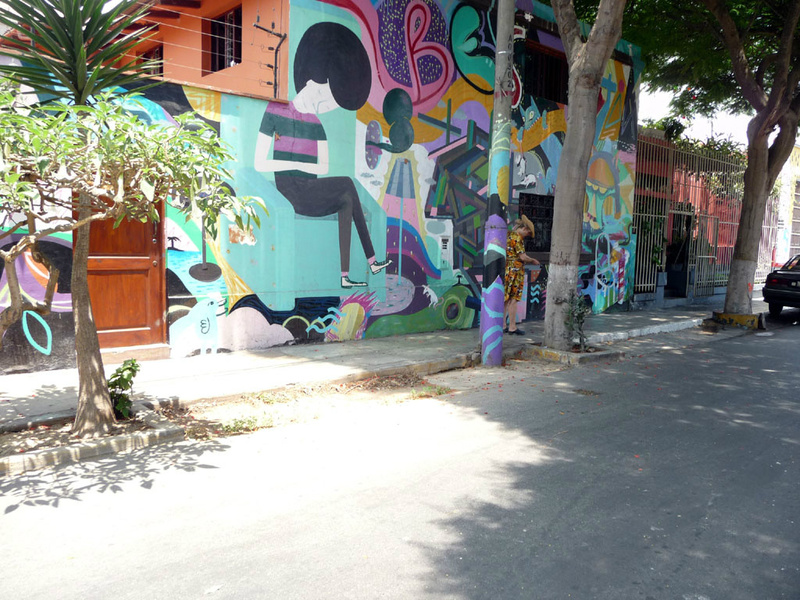 There are only a few car-free streets in Lima metropolitan area and this is one. 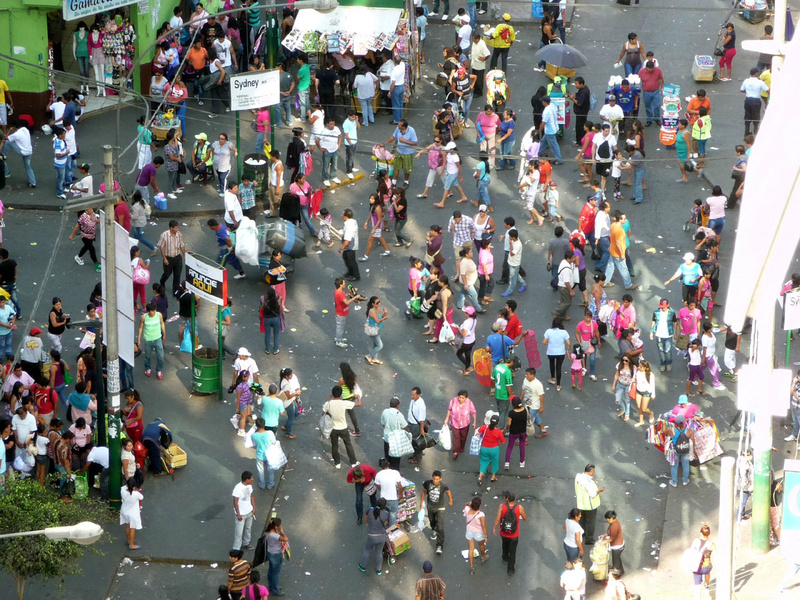 Much of the public spaces are for logistics, transportion of goods and people. To qualify for different use there needs to be a paradigm shift. What kind of spaces do invite learning, playing and being citizens instead of only stimulating consumer behavior. To have area's with no cars feels like paradise. Here it is very packed with people, energy and business. There is no danger of other traffic so everyone is very relaxed. It is a choreography with human streams like a river.